With its many features and benefits – from natural beauty to durability to sustainability – wool is regarded as the strongest, most vibrant, most beautiful and most eco-friendly fiber choice for area rugs. Rugs made of wool tend to be so durable that even the lowest-quality wool rugs will outlast rugs made of synthetic fibers such as nylon, acrylic, polyester, etc. For sheer beauty, longevity and durability, high-quality wool rugs simply cannot be beat. Wool is regarded as the strongest most resilient rug fiber choice. When properly cared for, fine wool rugs can last a lifetime. Fine wool rugs are likely to outlast synthetic fiber rugs (nylon, acrylic, polyester, etc.). Wool’s vibrancy is without equal. Because the natural properties of wool fibers accept dyes beautifully, wool yarns for rug production come in infinite colors. 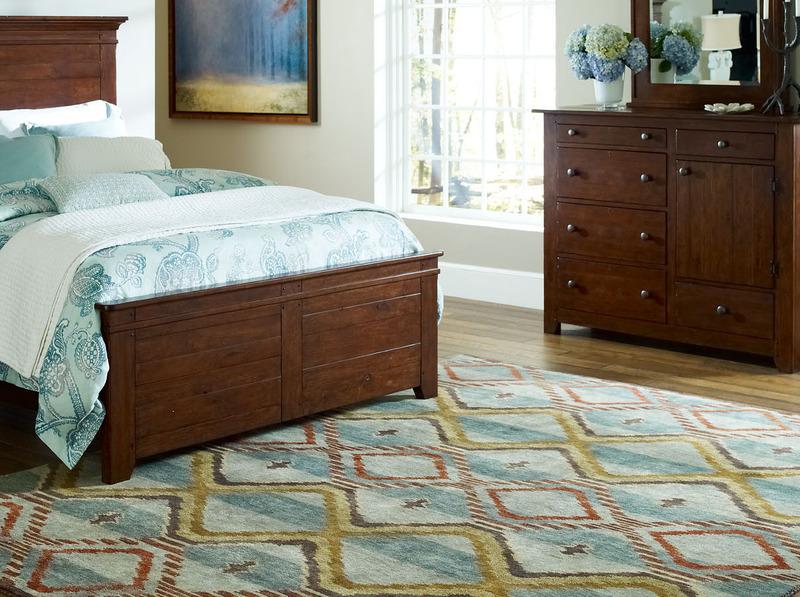 The broad array of wool rug patterns available today includes popular styles that range from traditional Oriental styles to rugged Southwestern and tribal patterns to casual transitional and modern designs. Companies such, as Kalaty Rug Corporation, offer special custom color programs that make it possible to match a rug to any fabric, paint color and even treasured heirlooms or china patterns. 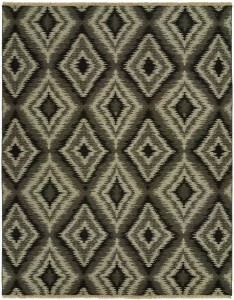 Check out the Kalaty Custom Color Program for visual inspiration and ideas for how to custom color a rug. Wool fibers are naturally moisture and stain resistant. Wool rugs are easy to maintain with regular vacuuming that prevents dirt particles from accumulating in rug fibers and causing premature wear. For cleaning and care tips, visit A Guide to Rug Care for a comprehensive care guide from high-end rug producer Kalaty Rug Corporation. Wool is a truly natural and sustainable material. The supply of wool is constantly replenished because wool is harvested from specially bred sheep prized for the different types of wool they grow. These sheep grow back their coats season after season. Note: Synthetic fibers are usually made from materials and processes that are not kind to the environment. 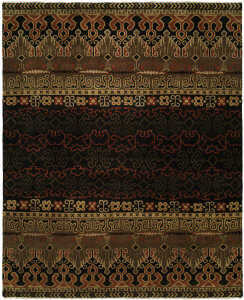 Wool rugs are either handcrafted or machine-made. 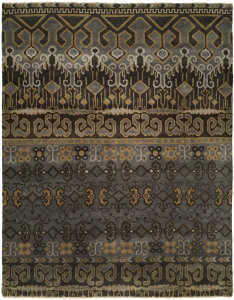 Machine-made rugs are more affordable, yet they lack the aura, intricacies and artisanal qualities of handcrafted rugs. 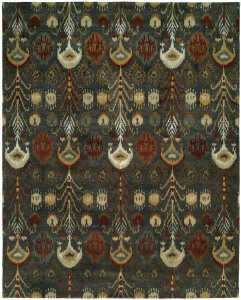 Handcrafted rug types include hand knotted, hand tufted, cut-and-loop, high-low, hand carved and flatweaves. Each handcrafted weave type has a different look and feel to it – some more traditional and more formal, while others are more relaxed and casual. Each weave type comes with different price points. There are good/better/best grades of wool used to produce area rugs. High-quality wool rugs are soft and smooth. 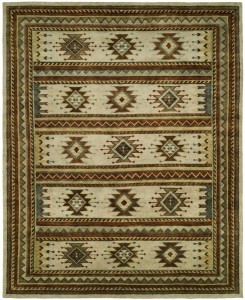 Lesser-quality rugs are not as soft and are somewhat brittle to the touch. 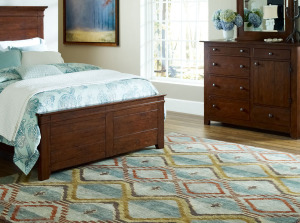 Wool rugs are available in variety of price points to accommodate most any budget. The bottom line when shopping for wool rugs is the same as with purchasing any luxury product. You usually get what you pay for, so it is always best to consult a reputable, knowledgeable local rug dealer who is able to guide you in your purchase. Kalaty Rug Corporation has set the gold standard for generations. 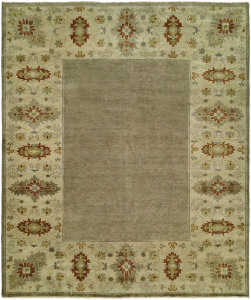 Every Kalaty rug is meticulously hand woven by highly experienced artisans and, with proper care, will last a lifetime. Search through the company’s vast collections at Kalaty.com, and while searching, utilize the FIND A DEALER tool to locate your nearest Kalaty dealer. Exotic Wood Options: Are They Worth It?